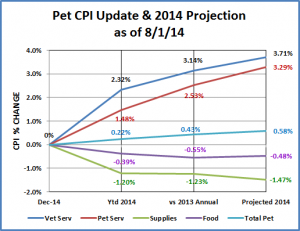 Vet Service CPI – up 0.1% over June – no surprise. 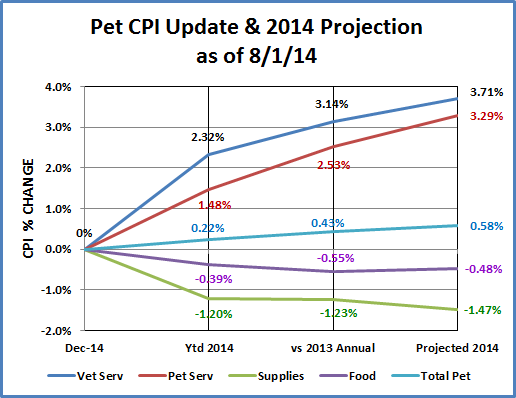 Pet Food – down -0.6% from June – Normal for prices to drop in July but this is greater than usual. All Service prices usually drop in August then turn upward for the balance of the year…with 1 slight dip in Veterinary prices, usually occurring in November. Supplies should start a “roller coaster” ride. Prices should go up in August, then fall to the lowest level of the year in September. October and November should bring rising prices…with a big drop in December. However, it’s not a normal year. As you can see August should be a pivotal month. 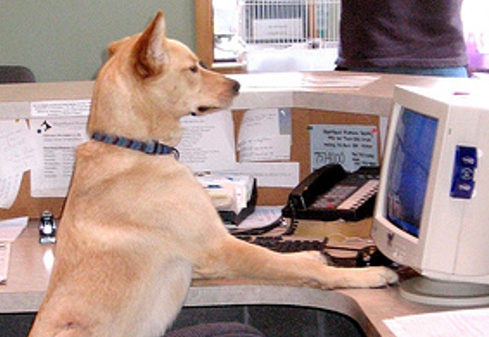 That CPI will be issued when we’re at the Total Pet Expo. I’ll do an update shortly after that. My biggest concern is what’s happening in supplies. It appears that the consumer may have significantly changed their buying view on supplies during and since the recession. Prices have fallen since late in 2009 and this may be an indication that the segment is being systematically commoditized – a category at a time. 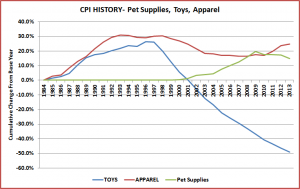 The chart below shows the CPI history for human apparel and toys – two categories that have largely become commodities and have parallels to a lot of the Pet Supply categories. The Human Toy segment has truly become a commodity. Prices have dropped precipitously since 1997…over 60%. In terms of National Pet Toy Specialty retailers, only Toys R Us still exists. The vast majority of the business is now in discount stores and the internet. Wal-Mart is the largest toy retailer, with a 30+% market share. 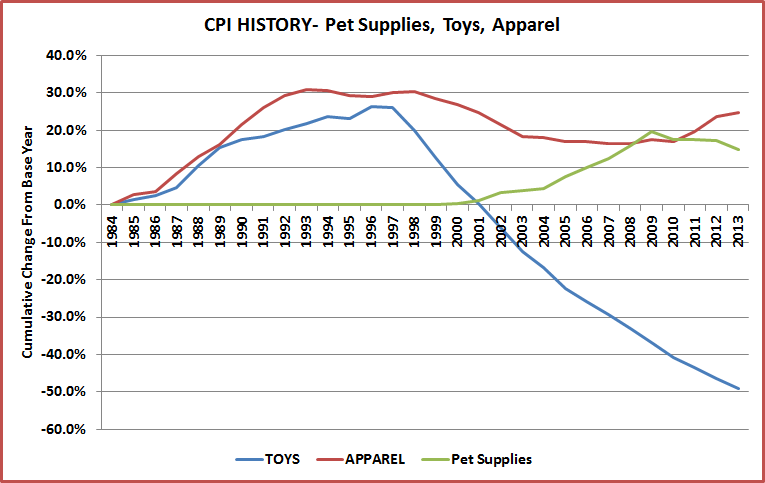 The CPI period from 2009 to 2013 in Pet Supplies closely resembles the period from 1992 to 2000 in Apparel. This Human category has been commoditized in the clothing segment. The effect on the overall Apparel CPI has been mitigated because pricing in the shoe segment held its ground through 1998. However, the pricing in the overall Apparel market is now still 4% below what it was in 1997. I don’t know how you feel, but neither of these other category “models” seems very appealing to me. In my next post, we’ll take a look at the overall consumer buying behavior today and how that relates to the Pet Supplies segment.